San Diego has an array of unique boutiques located throughout the different neighborhoods of the city. In most cases Haute would define the upper class but in this case it purely defines the effortless chic fashions of San Diego and just a glimmer of what the city has to offer. Downtown has Goga Boutique located at 401 Market Street, showcasing Gordana Gehlhausen’s clothing and jewelry designs. Gordana was featured on the 6th season of the reality show “Project Runway.” Not only does she create one-of-a-kind pieces (check out her gowns!) but she also carries other lines that have an edgy-elegant look to them. 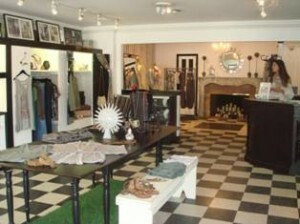 Just north of downtown in Mission Hills is Le Bel Age Boutique at 1607 W. Lewis Street. This exclusive boutique offers an abundance of must-have fashions, from exquisite statement jewelry to hard-to-find clothing brands and glamorous accessories. It truly is a one-stop-shop! 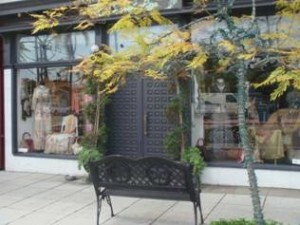 Continuing north to La Jolla is Capricorn Boutique at 5544 LaJolla Blvd. Capricorn offers ultra-fresh laid-back SoCal style. Carrying a variety of unique delicate jewelry, beach-chic clothing, yummy candles and hip urban-style’s for men! 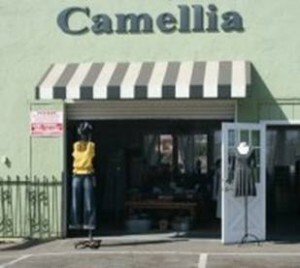 A little further north brings us to Solana Beach and Camellia Boutique at 301 N. Highway 101. The openness of this boutique truly represents a relaxed ambiance with plenty of choices for casual pieces or date-night ensembles. Their stylish jewelry selection features many unique local designers. This entry was posted in Shopping and tagged boutiques, downtown, fashion, la jolla, mission hills, San Diego, Shopping, solana beach by Sandra. Bookmark the permalink.